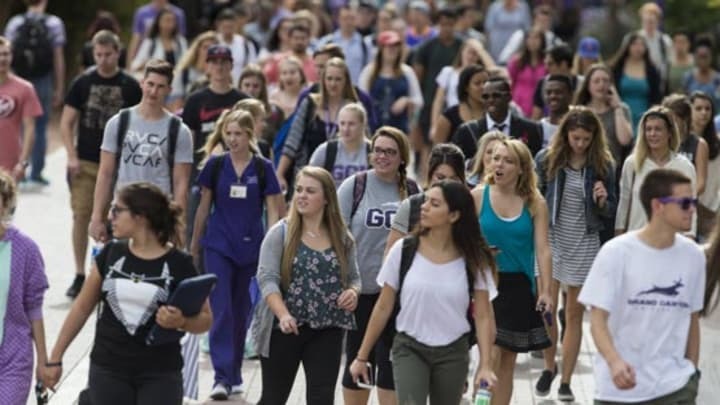 Grand Canyon University will surpass 20,000 in enrollment on its Phoenix campus when classes begin Aug. 27, while both its ground campus and its online academic programs both rank in the top 10 in the nation by a popular college research and review website. Grand Canyon University has added three esteemed community leaders to its Board of Trustees as part of the institution’s transition to a nonprofit status. Peggy Chase, President and CEO of Terros Health; Dr. Lupita Ley Hightower, Superintendent of the Tolleson Elementary School District; and Marion Kelly, Director for the Office for Community Affairs at Mayo Clinic, have been added to the seven-member board that oversees the nonprofit university. 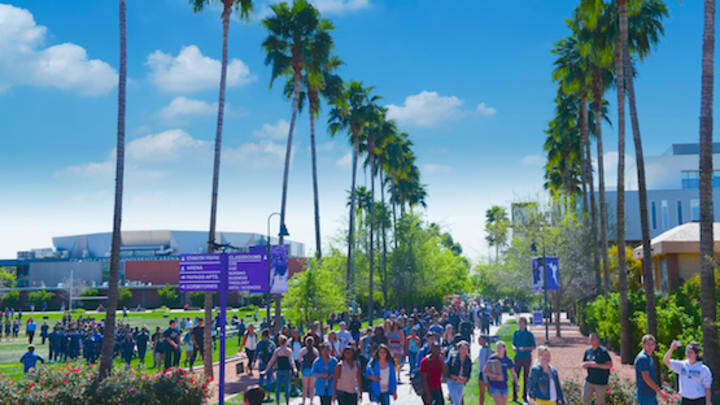 As Grand Canyon University gets set to welcome the largest incoming class in its history this fall, there is plenty of good news to share. Today marks the beginning of a new era for Grand Canyon University (GCU) and Grand Canyon Education, Inc. (GCE). Under the terms of a transaction that closed on July 1, 2018, Grand Canyon Education sold Grand Canyon University to a nonprofit entity that will retain the GCU name. The transaction returns GCU to its historical roots as a nonprofit university and ensures the long-term legacy of both GCU and GCE. 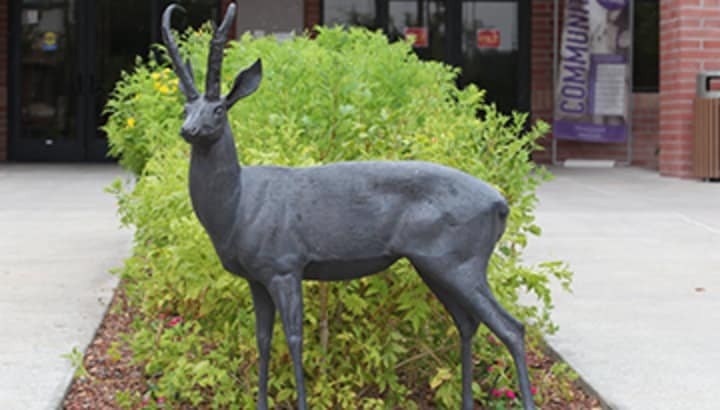 Why is GCU returning to its nonprofit status? What started as one of the most significant school years in Grand Canyon University’s 69-year history will end that way, as the university boasts its largest graduating class yet. All told, GCU will confer 9,009 degrees this semester for its traditional-aged and working adult students, with many of those participating in eight commencement ceremonies April 26-28 at GCU Arena. The university also will celebrate the first official graduating classes of its computer science and worship arts programs. The Higher Learning Commission has approved Grand Canyon University’s application to become a non-profit institution -- a major step in the process to return the University to its historical roots. Grand Canyon University is set to debut its brand new baseball stadium, Brazell Field at GCU Ballpark, on Friday when the baseball program opens its 2018 season against No. 4/7 TCU at 6 pm. The opening of the facility coincides with the Lopes’ return to Division I postseason eligibility. Grand Canyon University, a comprehensive regionally accredited university owned and operated by Grand Canyon Education, Inc. (GCE), has submitted an updated application to the Higher Learning Commission to re-establish the institution as a non-profit university upon its purchase of certain academic-related assets from GCE. Following the sale, GCE would operate as a for-profit third-party provider of educational and related services to GCU and potentially, in the future, to other universities.